HBL Pakistan Super League The movers and shakers! Pakistan Super League 2018 is bringing amusement and entertainment for the cricket lovers. All the cricket lovers are anxiously waiting for the PSL 2018. Urdu Point gives you all the breaking news about PSL 2018 and latest news about the teams of PSL 2018. To watch PSL live go for Urdu Point. Live news of PSL, PSL live updates, PSL live scoreboard, PSL 2018 schedule and PSL breaking news will be available on Urdu Point. PSL live match is available on many sites but at times it is difficult to access them but at Urdu Point you can get an easy access to the live matches of PSL. If you are searching for YouTube/psl, PTV sports live PSL or PSL live YouTube you can get search results on Urdu Point. PSL points table 2018 along with PSL live matches can be searched on Urdu Point. We provide you Sports news about PSL 2018 and teams of PSL which include PSL Multan Sultan, PSL Lahore Qalandars, PSL Peshawar Zalmi, PSL Quetta gladiators etc. Islamabad United was the winner of PSL 1 and PSL 2 was won by Peshawar Zalmi. Now people are waiting for the PSL 3 winners. We will also update you about the final of PSL 2018. PSL Live matches will be easily accessible at Urdu Point. PSL Multan Sultan is the new team in PSL. People have expected high from this PSL team. As a new team in PSL, Multan Sultan has to work hard to attain a good position. People love to search the news about this new PSL team. The popular sites for watching live cricket matches are cricinfo and ten sports live. 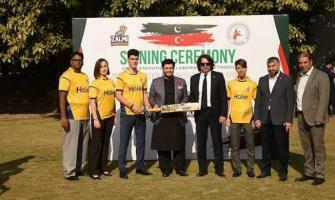 But now watch the PSL live matches at the most accessible site for live cricket matches. Urdu Point is the most accessible web page for all types of sports news, PSL news, PSL teams, PSL matches and PSL schedule. If you want to watch live matches online, Urdu Point is the best site for online cricket matches. People go for the results of geo super live psl streaming but at times can't get good results. At Urdu Point you get the best search results for the live PSL matches and live cricket matches. PSL 2018 points table is accessible at Urdu Point. You can also go for the PSL highlights, PSL PTV sports and live PSL matches. 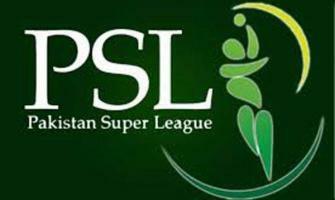 All kind of search results about PSL, PSL Pakistan, PSL Dubai, PSL Sharjah, PSL Abudhabi, and PSL Karachi are available at Urdu Point. Urdu Point will also update you about PSL final tickets. So get all the latest news about PSL 2018 and the teams of PSL 2018 on Urdu Point.